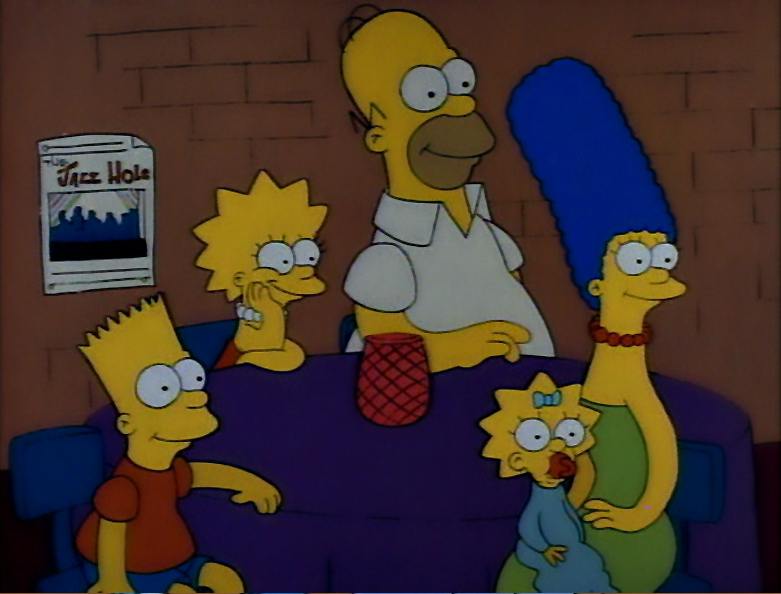 Oh Homer, you'd lose your head if it weren't securely fastened to your neck. 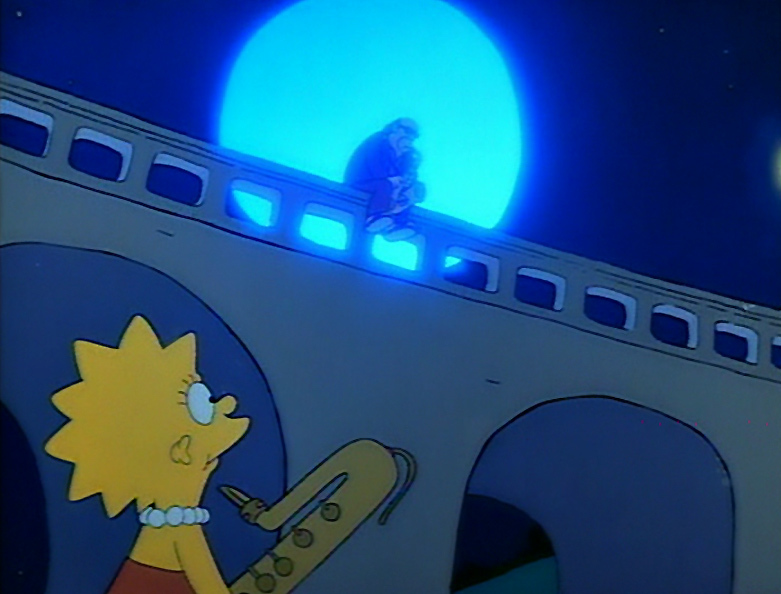 Lisa, there is no room for crazy bebop in My Country Tis of Thee. Everyday at noon a bell rings and they herd us in here for feeding time. And we sit around here like cattle chewing our curd dreading the inevitable... [food fight]. Lisa, we are playing dodge ball here. The object of the game is to avoid the ball by weaving or ducking out of its' path. 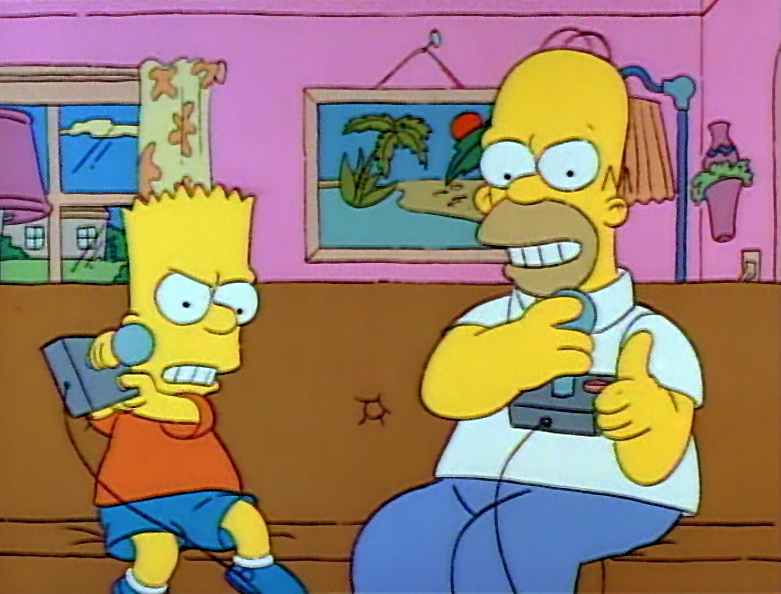 In the red trunks, with a record of 48 wins and no losses, the undisputed champ of this house, Battling Bart Simpson! Whoopee, whoo whoo whoo! And in the lavender trunks, with a record of zero wins and 48 defeats... oh, correction, humiliating defeats, all of them by knock-out... Homer the Human Punching Bag Simpson. I didn't do it. Nobody saw me do it. There's no way they can prove anything. I'm just wondering what's the point? Would it make any difference at all if I never existed? How can we sleep at night when there's so much suffering in the world. Lisa! What did I tell you about playing that sax-a-ma-thing in the house? I've gotta' find that sound. Oh that's a little tune I call, The I Never Had an Italian Suit blues. You know Marge, getting old is a terrible thing. I think the saddest day of my life is when I realized I could beat my Dad at most things. 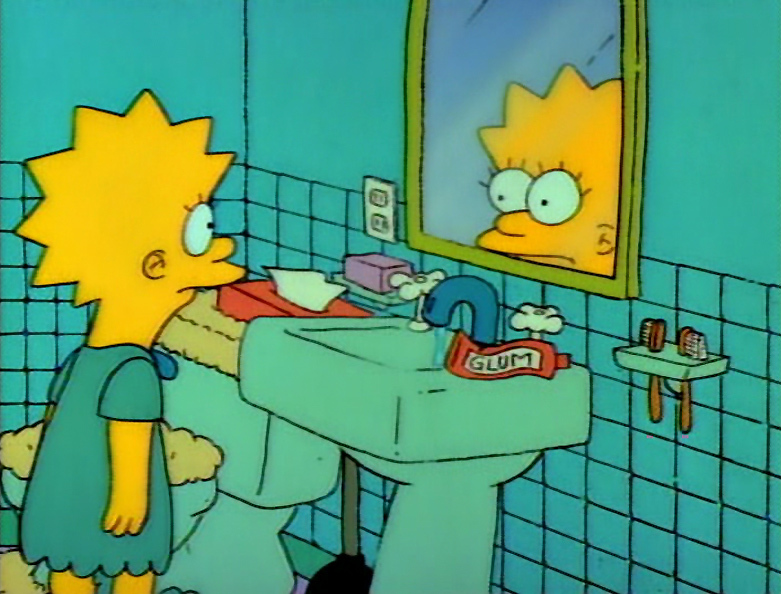 And Bart experienced that at the age of four. My friends call me Bleeding Gums... well let me put it this way... you ever been to the dentist? Not me. I suppose I should go to one but I got enough pain in my life as it is. Well I can't help you kid. I'm just a terrific horn player with tons of soul. But I can jam with ya'. The blues isn't about feeling better. It's about making other people feel worse. And making a few bucks while you're at it. Nothing personal. I just fear the unfamiliar. Go on Bart, no time like the present. Where's your sense of humor, man? Now Lisa listen to me. This is important. I want you to smile today... well it doesn't matter how you feel inside, you know? It's what shows up on the surface that counts. That's what my mother taught me. Take all your bad feelings and push them down. All the way down past your knees until you are almost walking on them. And then you'll fit in. And you'll be invited to parties. And boys will like you. And happiness will follow. C'mon you can do better than that. That's my girl... Lisa, I apologize to you. I was wrong. I take it all back! Always be yourself. You want to be sad, honey? Be sad! We'll ride it out with you. And when you get finished feeling sad we'll still be there. From now on, let me do the smiling for both of us. Miss Simpson, I hope we won't have a repeat of yesterday's outburst of unbridled creativity. I'd just like to use this occasion to announce my retirement, undefeated, from the world of video boxing.